Taiwan is a popular travel destination given its relatively short flight time from Singapore, warm hospitality and delectable cuisines. But she isn't just about the yummy street food in night markets, Ximending and Taipei 101. If you are wondering where else to go and what else to see, you will find quite a few suggestions here. The friendly Formosa Island is also home to a myriad of towns and villages offering interesting experiences for a Tai-rific holiday. Let's go on a round-island tour starting from the north to 10 of the most charming towns! Most of us fly into Taipei and think it is just another built-up city with modern commercial buildings. 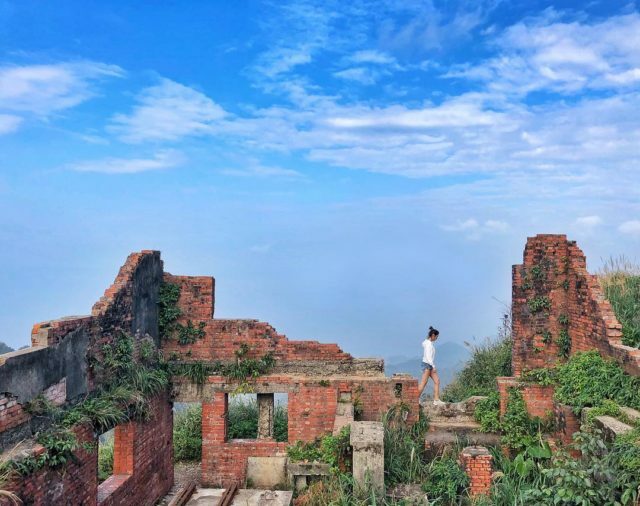 While that may hold true for its city centre, venture to its northernmost Beitou district, and you will be able to escape from the city's hustle and bustle. The hot spring town is a godsend for Taipei city folks who are in need of a quick respite. Filled with narrow lanes and alleys, the town's must-see attractions are located in Beitou Hot Spring Park. Explore the many historical buildings in Beitou Park, including Beitou Hot Spring Museum. Built in 1913, it is a fine replica of bathhouses in Japan's Shizuokaken Idouyama. Taiwan's first green building, Beitou Library can also be found here. Take in the fascinating sight of the thick sulphury-smelling mist at the Thermal Valley. Who needs Japan for a relaxing hot spring experience when Beitou is more convenient to reach? How to get there: Take the MRT Tamsui-Xinyi (red) Line to Beitou (北投) Station, then transfer to the train bound for Xinbeitou (新北投). Located in New Taipei City, Ruifang is a picturesque town accessible in less than an hour northeast of Taipei City. Most travellers treat Ruifang as a base to explore the surrounding tourist attractions such as popular Jiufen (九份), Shifen (十分), or Pingxi (平溪). 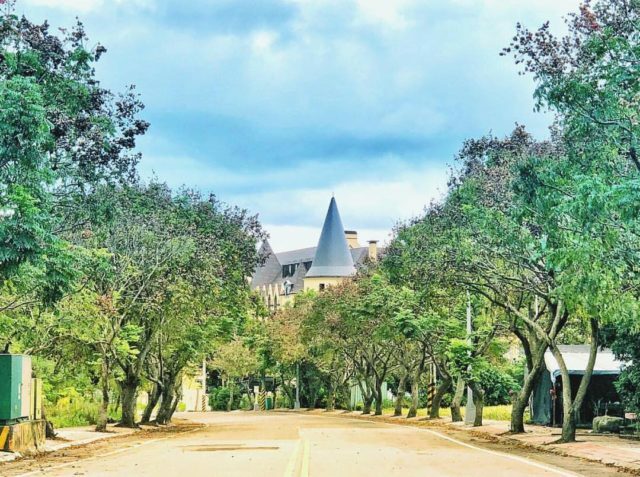 However, the quaint transit town is gaining more traction these days as nature lovers check out breathtaking natural landscapes in the district. Marvel at the fascinating yellow-blue hues of Yin Yang Sea (陰陽海) as you take a break from your mountain hike. 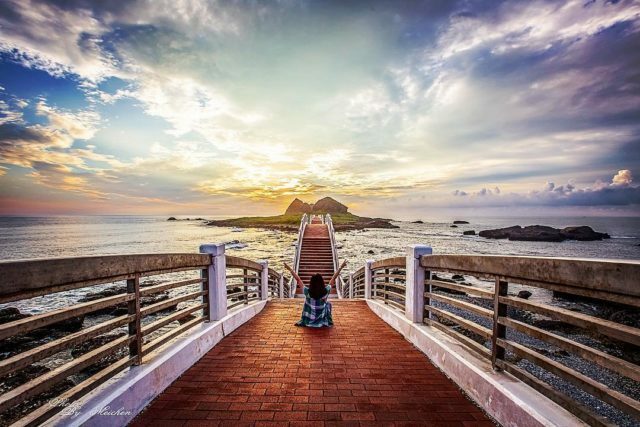 Or you can also head to Shen'ao Fishing Port (深澳漁港) for a taste of fresh seafood, followed by a leisurely rail-bike ride along Taiwan's scenic north coast. 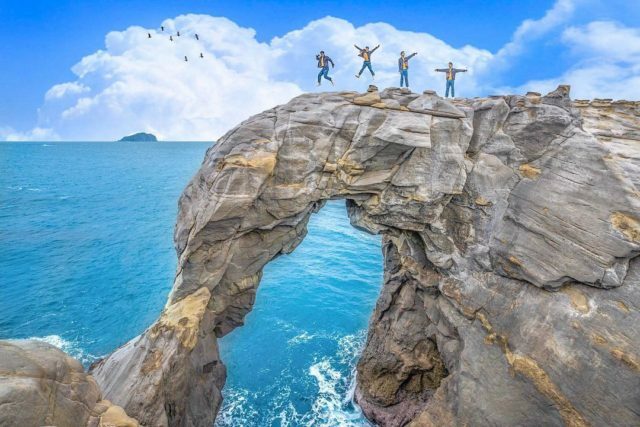 Continue your hike to the renowned Elephant Rock (象鼻岩), which is an arch formed by sea erosion that resembles an elephant trunk. Do trek with care as the coastal trail may be slippery. How to get there: Take any northbound train from Taipei Main Station (except Keelung-bound trains) to Ruifang Station. Fare: 49 NTD (S$2.15) for a local train, 76 NTD for Tze-Chiang express train. Travel a little down south to Hsinchu County in northwestern Taiwan, better known for its high-tech industries. While the county may be lacking in popular tourist attractions, Guanxi is certainly a town worth your attention. Nicknamed as the hometown of grass jelly, this is where you will be able to learn more about the production process of the medicinal-herb plant and its numerous benefits. Of course, you will get to enjoy interesting dishes and beverages prepared with this amazing plant. Complete your adventure in the tranquil Mawudu Forest, which means Forest of Abundant Wood and Cool Clear Water in the Atayal people's language. The park is home to 2 ancient Chinese red Bayberry trees standing next to each other like a pair of loving old couple. After that, treat yourself to authentic Hakka specialities such as stinky tofu, tea and broad noodles at Beipu Old Street. Soak in the nostalgic air as you stroll along the atmospheric street exploring the local Hakka culture and history. How to get there: Take the Kuo-Kuang Bus #1820 from Taipei Bus Interchange. Fare: 113 NTD. Located in the southwestern tip of Miaoli County, Yuanli may sound foreign to the typical tourist, but it is by no means a pushover. Reputed as the "hometown of Miaoli's granary", Yuanli was the earliest township to undergo development in the early days. However, because of its barren terrain along the island's west coast, Yuanli didn't undergo extensive urban development like other parts of the county. Visit Yuanli for its authentic rustic charm backed by dramatic mountains facing the beautiful Taiwan Straits. Check out the many nature and heritage attractions in town like the Huataoyao Botanical Garden (華陶窯), Huoyan Hot Spring Recreation Area (火炎山溫泉渡假村) and Triangle Rush Exhibition Hall (藺草文化館). Experience the local's way of life by visiting the morning markets around the railway station. Go with an empty stomach so you can chomp on the wide variety of mouthwatering snacks to your heart's content. Jin Guang Meatballs (金光肉圓) is a must-try for its succulent glutinous pork-filled meatballs at only 35 NTD each! How to get there: Take any southbound train from Taipei Main Station to Yuanli Station. Fare: 243 NTD for Juguang train, 315 NTD for Tze-Chiang express train. Jiji is Taiwan's smallest township by area situated in central western Nantou county. The compact town is a must-visit for railway fans. Being one of the three extension lines of the Taiwan Railway, Jiji railway station (集集車站) is one of the main stops on the Jiji railway line. Opened in 1922 during the Japanese colonial rule, it is one of the oldest stations in Taiwan. Although it was reconstructed in 2001 after it was severely damaged in the 1999 "921 earthquake", the historical station has retained much of its original Japanese wooden architecture charm. Upon arrival at Jiji, don't forget to stroll along the 4.5-kilometre long Jiji Green Tunnel (集集绿色隧道) lined with nearly 80-year-old shady camphor trees. Soak in the refreshing atmosphere and romantic view as the local trains slowly make their way on the tracks by its side. How to get there: From Taipei Main Station, take the train to Ershui Station in Changhua County (Fare: 313 NTD for local train, 487 NTD for Tze-Chiang express train), then transfer to Jiji line (Fare: 30 NTD for local train). Be transported back to old Taiwan as you walk along the red brick lanes in the quaint Lukang seaside town. Until the early 20th century, Lukang was an important seaport and most populous city of central Taiwan. There are over 200 temples dedicated to a wide range of folk deities, many of which are well-preserved ancient architecture that will astound you with its exquisite artworks. Find Lukang Tianhou Temple (鹿港天后宮), the oldest temple dedicated to Mazu in Lukang, a majestic structure designated as Grade 3 Historic Building. 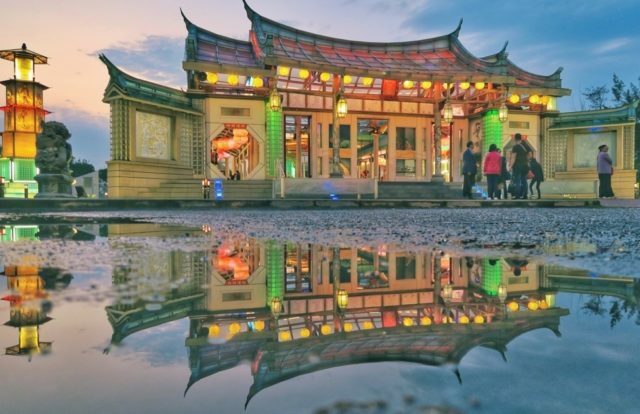 About 20 minutes' drive away is the one-of-a-kind Lukang Glass Temple (鹿港玻璃廟), a replica of the famed temple to show appreciation to Lukang's culture. How to get there: Take the High-Speed Rail (HSR) to Taichung Station. Board Taiwan Shuttle Bus (台灣好行) #6936 at Taichung HSR Station First Floor Exit 5 to Lukang bus station. Bus fare: 73 NTD. 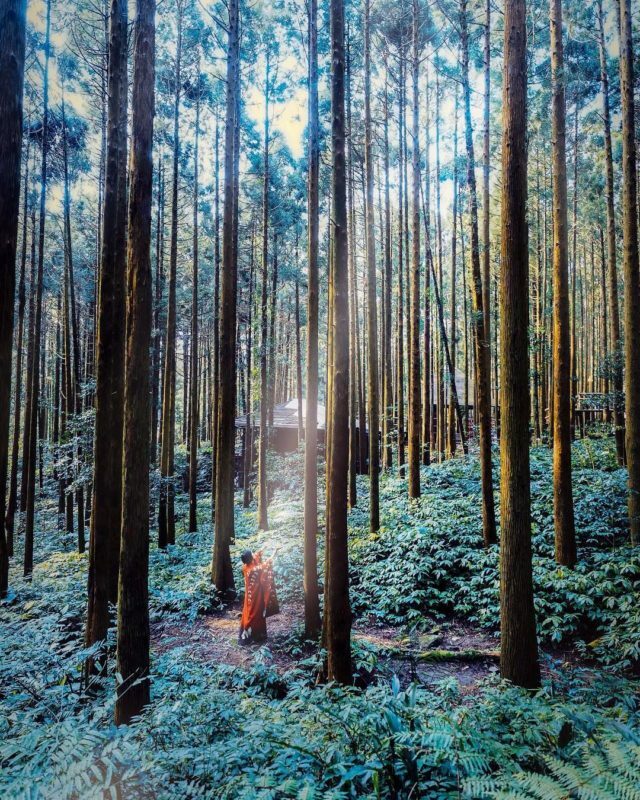 The rural township of Meishan in Chiayi County is the gateway to Taiwan's renowned Alishan National Scenic Area. It is a mountainous area known for its astonishing 36 bends and turns and an Insta-worthy destination for many aspiring photographers. 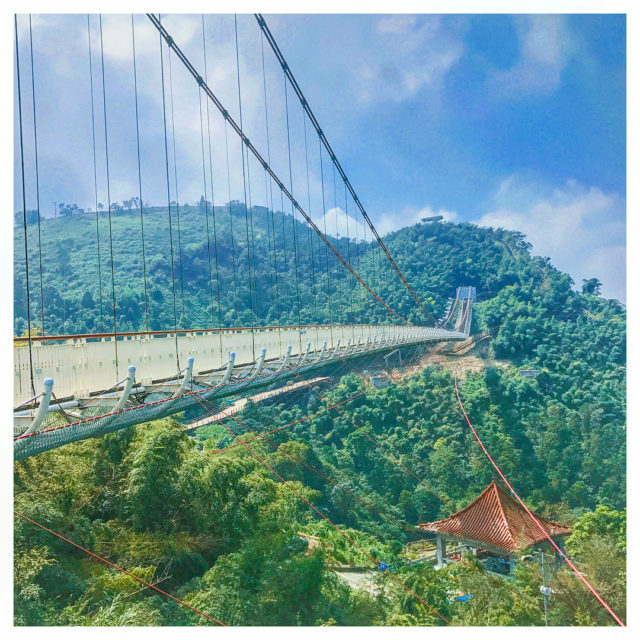 Stand atop Taiwan's longest suspension bridge - Taiping Sky Bridge (太平雲梯), about 1,000 metres above sea level, offering mind-blowing panoramic views of the county. In addition, check out Meishan Catholic Church (梅山中華聖母天主堂), a Gothic-style building founded in 1957. 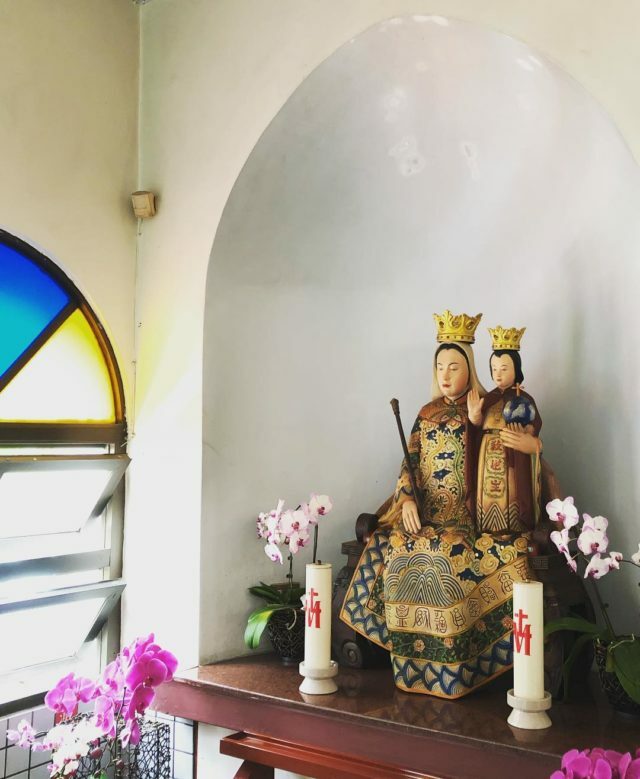 Step into the church to find the Virgin Mary statue adorned in clothing reminiscent of Cixi, the Qing empress dowager! The unique statue holding a young Jesus is said to be one of only two of such statues, with the other at the Basilica di Santa Maria Maggiore in Rome. How to get there: From Chiayi Railway Station, take bus #7304 or #7323 bound for Meishan. Fare: 64 NTD. Renowned for lovely oil paper umbrellas handcrafted by the Hakka population, Meinong is known for its distinct Hakka culture development. 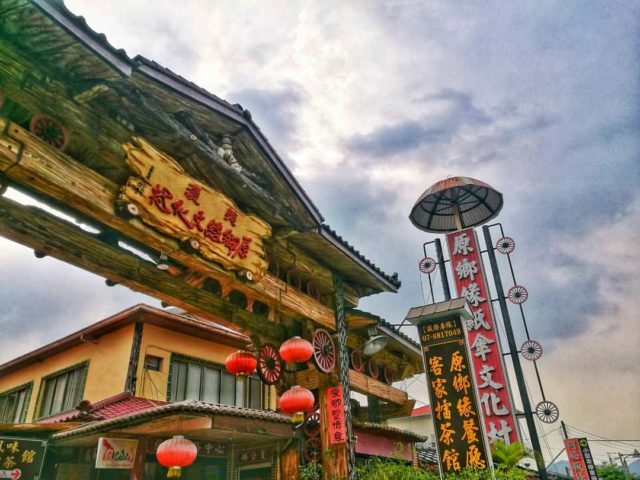 Experience traditional lei cha (thunder tea) culture and other authentic Hakka cuisine in the tranquil town. Relish in the peace and quiet evoked by the lush green fields in Meinong as you soak in its rural charm on the 5.4-kilometre scenic bike path around Jhongjheng Lake. How to get there: From Zuoying HSR Station, take the Cimei express bus bound for Meinong. Fare: 88 NTD. Alternatively, take the local bus bound for Meinong at a cheaper fare of 60 NTD. Think you have seen enough of picturesque natural scenery in Western Taiwan and wish to return home already? Wait till you arrive in Chenggong, home to the largest fishing port and market of Taiwan's mesmerizing East Coast. Thanks to its Pacific Ocean front, Chenggong boasts great marine resources with awe-inspiring ocean views backed by the dramatic Central Mountain Range. This is where you can experience traditional Amis culture and enjoy the freshest seafood at unbeatable prices. 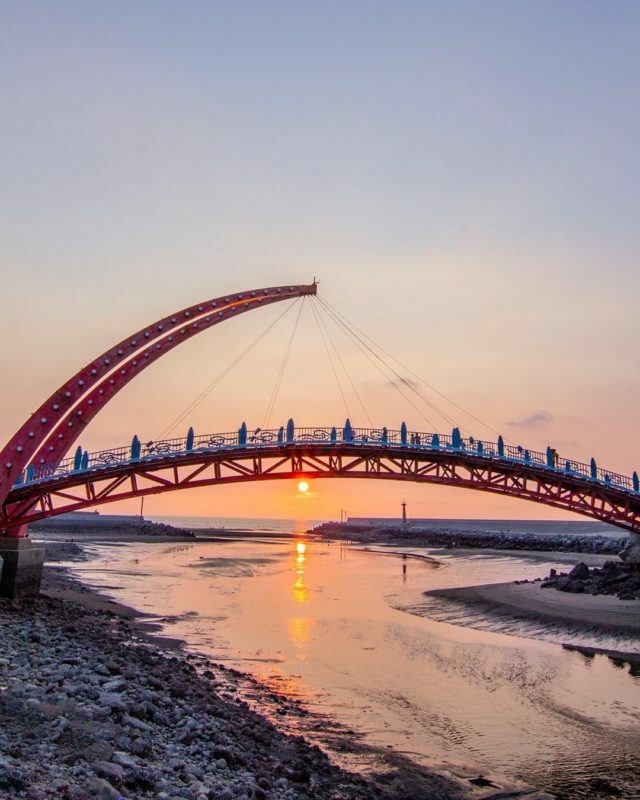 Early risers may also try their luck to catch the amazing sunrise at the famous Sanxiantai (三仙台) situated in northern Chenggong. Legend has it that three of China's Eight Immortals once landed on the small island; hence the name, which means "terrace of the three immortals" in Chinese. Appreciate the rich biodiversity and geological marvels as you walk along any of its well-maintained footpaths. How to get there: From Taitung Railway Station, take Dingdong Bus #8101 or #8102 bound for Jingpu. Fare: 167 NTD. Last but not least, immerse yourself in the leisurely pace of life in Ruisui, a landlocked township located midway in the picturesque Huadong Valley. The charming town is renowned for its milk, tea and hot springs. Get a beauty soak in this notable hot spring town. Enjoy delicious dairy products in the expansive Ruisui Ranch (瑞穗牧場) with more than 300 cattle roaming in the ranch. Feeling adventurous? Get on the whitewater raft for an exhilarating adventure at Xiuguluan River (秀姑巒溪). How to get there: From Hualien Station, take the local train to Ruisui Station bound for Taitung or Yuli. Fare: 92 NTD. Alternatively, from Taitung Station, take any northbound train to Ruisui Station. Fare: from 129 to 200 NTD (depending on number of stops).